What makes the F78MP Series Air Radar Sensor such a reliable level measurement device? Its Echo Profile. The Echo Profile is the output of the product’s True Level Detect software. The F78MP Series Air Radar provides non-contact, continuous level measurement for bulk materials in bins, tanks and silos. Accurate and reliable in difficult environments, the F78MP Series Air Radar is an ideal level meter for powder and bulk solid inventory management. 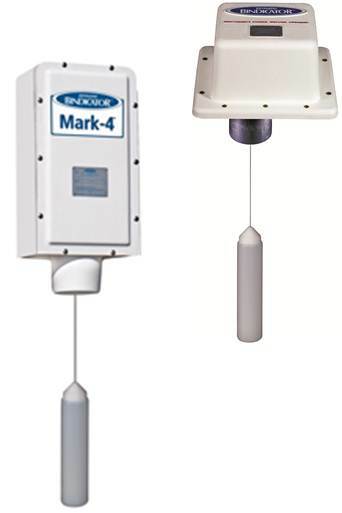 The Yo-Yo™ weight and cable sensor is one of the most trusted level measurement methods in the dry bulk solids industry. It is a reliable continuous level sensor that is designed to provide accurate, reliable inventory management information for tanks and silos. Its LCD display can configure and monitor up to 99 sensors. When a temperature range is listed on a specification sheet, it is often the extreme limits of the product. 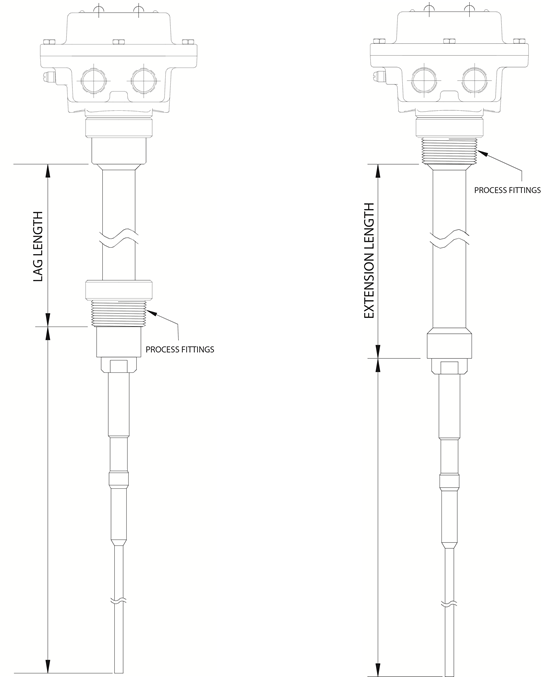 To get to those temperature ratings, modifications or special configurations may be required. For instance, to reach a higher temperature, a lag may be added to the level switch to move the electronics away from the heat source. Temperature charts are created to illustrate the limits of a design configuration, and it's important to know how to interpret them properly. What is Point Level Measurement? 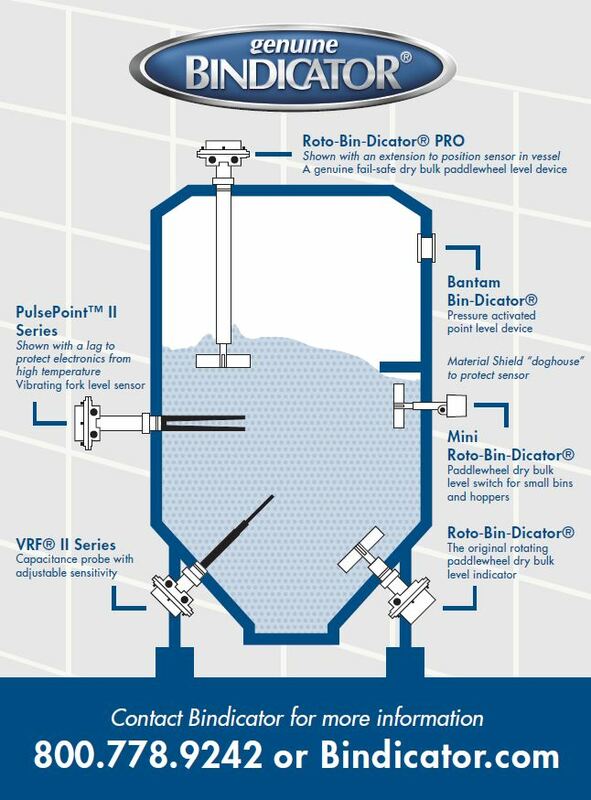 Point level sensors are used to detect the level of material in a tank or silo. There is high level (presence of material) and low level (absence of material). 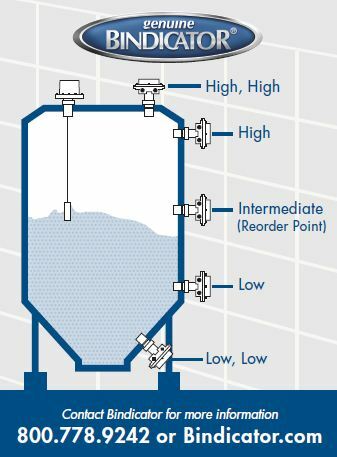 High level measurement allows a vessel to be filled to capacity while preventing an overfill situation. Low level measurement alerts the facility that the material needs replenished, preventing process and/or plant downtime. Depending on the application, the type of level sensors used and the location in which they are mounted on your silo will vary. 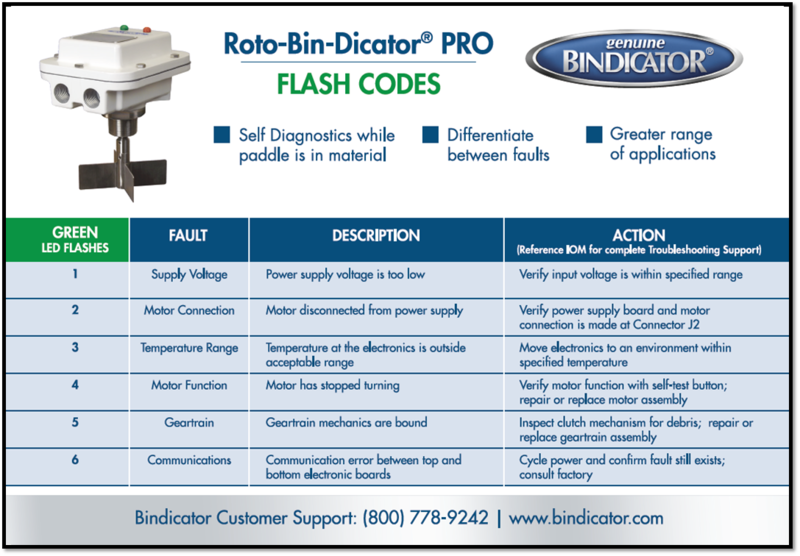 The Roto-Bin-Dicator® PRO paddle wheel is a true fail-safe device that is able to perform complete self-diagnostics in and out of material, compared to other devices that only provide diagnostics when the paddle is out of material. Having a true fail-safe device not only saves your scarce maintenance resources, it also minimizes downtime that the plant experiences. Radar is one of the most advanced forms of level measurement technology available in the dry bulk material industry. Radar measures the level of material by monitoring the time it takes for a microwave pulse to travel from the level meter to the surface of the material being measured and back to the meter. The time is calculated into distance which is then translated into a level measurement. InvisiLink™ wireless system eliminates the need for costly, labor-intensive cables and conduit providing a simple, stream-lined installation. To get a sense of how InvisiLink™ can save you time and money, see the graphic below.